After a slower kickoff episode to Season 6 in which viewers were reminded where each character stood, the next episode catapulted us back into action. And, as I wrote about in the Season 6 primer, I think the entire season will continue at this pace of action. So let’s jump into it. In an episode entitled Home, we certainly saw homecomings for many characters in the show. Some were literal, some were symbolic, but all were rather meaningful. Whether it was Bran traveling back in time to his home of Winterfell to catch a glimpse of Ned as a kid, Ramsay killing his father to claim lordship over his new home of Winterfell, Tommen finding himself back in the home of his mother’s arms, Arya returning back home with Jaqen or Theon deciding to return home to the Iron Islands, almost every character in this episode embarked upon a journey back home, or at least upon a journey towards forging a new one. 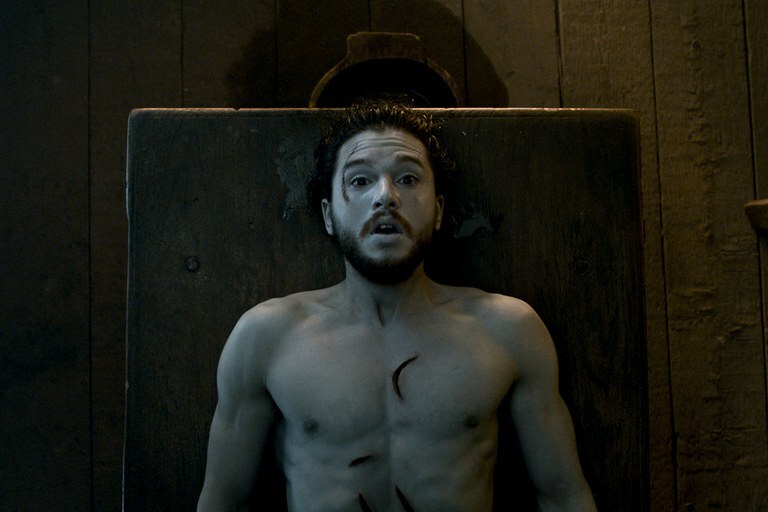 Oh, and I almost forgot…This guy named Jon Snow found his way back home…But who could have seen that one coming? 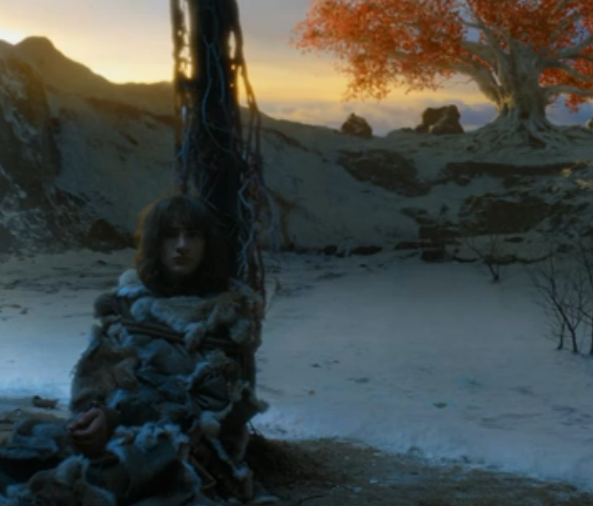 For me personally, the most enjoyable part of this episode was seeing Bran. It had been so long, and I was always most intrigued by the power of the journey that he was on, and the role he will likely play in the “war that is to come.” No doubt, we were quickly reminded of this war, as one of the Children of the Forest tells Meera of the important role that she will play in supporting Bran once they leave the cave. 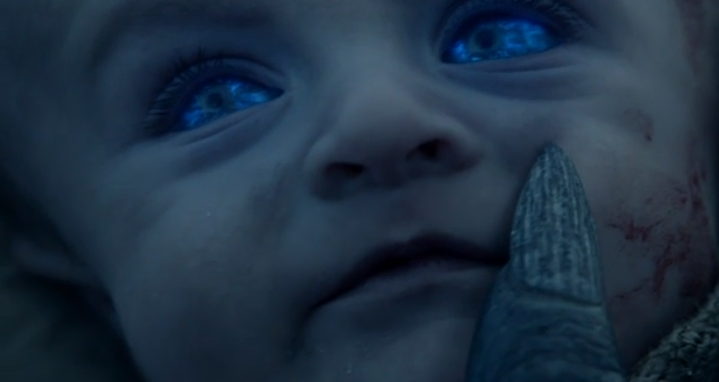 So let’s not forget, the White Walkers are still out there, and war is impending — my guess is that we’ll be reminded of this in the next episode and get first glimpse of White Walkers this season. What I loved about this episode was the use of flashback to see Winterfell as a thriving, happy place — the seat of the Starks and the stronghold of the North. Theon, and later Ramsay, totally destroyed that image of Winterfell, and turned it into a dark and cruel place — so it was nice to be reminded of what Winterfell once was — and maybe a foreshadow of what it could perhaps return to be? 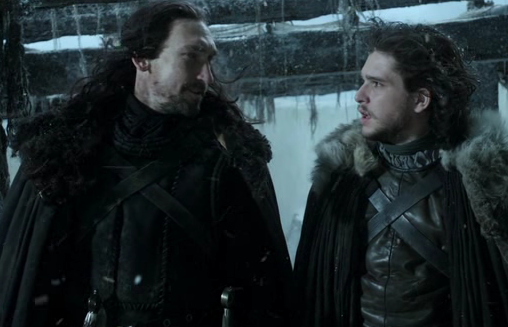 What we see in this flashback is the three Stark brothers (Ned, Benjen, and Brandon), as well as their sister Lyanna. It is interesting to note that of the four siblings, all are now dead, with the possible exception of Benjen (aka Jon Snow’s Uncle Benjen), who disappeared north of the Wall in Season 1, and has not been seen since. 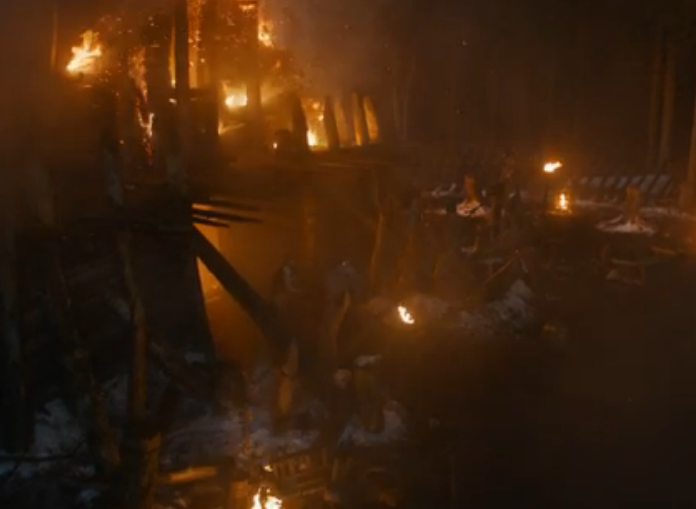 The Season 6 primer offered that Uncle Benjen is still alive, somewhere out there, and I think seeing this flashback supports this theory. But we’ll have to wait and see on that one. 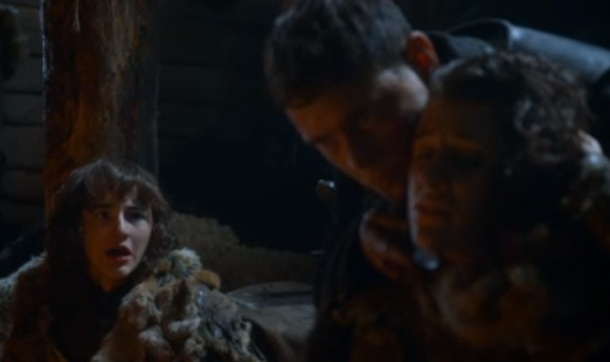 The significance of the flashback is not so much about what Bran saw in that moment, but more likely what he will see in his flashbacks to come. In all likelihood, his flashbacks will continue to follow his deceased father, Ned, and Bran will likely learn something that will guide him on his journey. 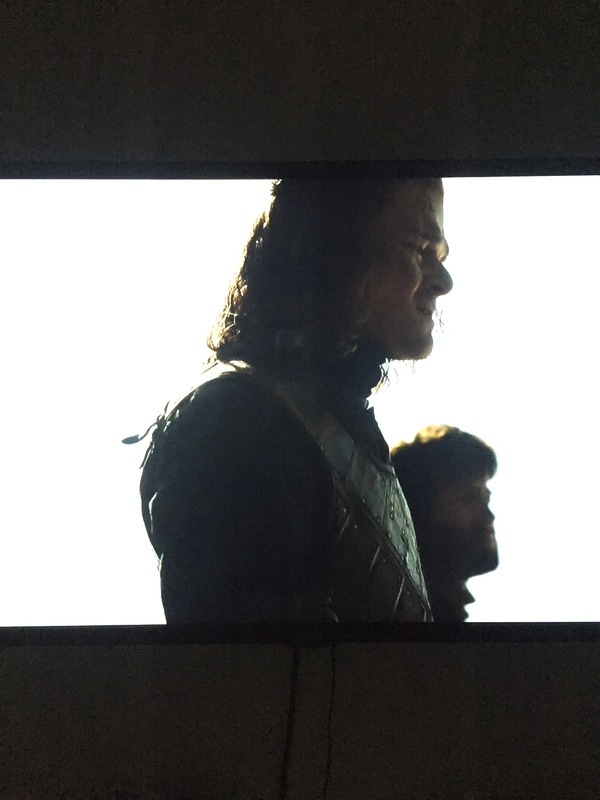 And, if you looked very closely at the preview for next week’s episode, we see Bran in another flashback, with what appears to be a young Ned Stark fighting against Targaryen knights (see photos below, pardon the poor quality). So, this flashback was more of a table-setter or introduction, with future flashbacks to likely be more meaningful. It was also interesting to see that Hodor spoke as a kid, which naturally raises the question of what happened to him to make him the way he is today. I have to believe that this question would not be introduced if it won’t be eventually answered, so look out for an event in which we see what actually happened to Hodor. Is it possible that he is a more significant character to this story than we originally assumed? Time will tell. But I continue to be most excited for Bran’s story, especially as his flashbacks shed light on the events that took place before the beginning of this show’s timeline. It was less of a question IF Jon Snow would be brought back and more of a question WHEN. My concern was that he might not be brought back until later in the season, and until he did, it would weigh on the minds of viewers, distracting them from the rest of the story. Thankfully, producers decided to bring him back in the second episode, and we can now stop talking about whether or not Jon will be coming back. But let’s backtrack for a minute. 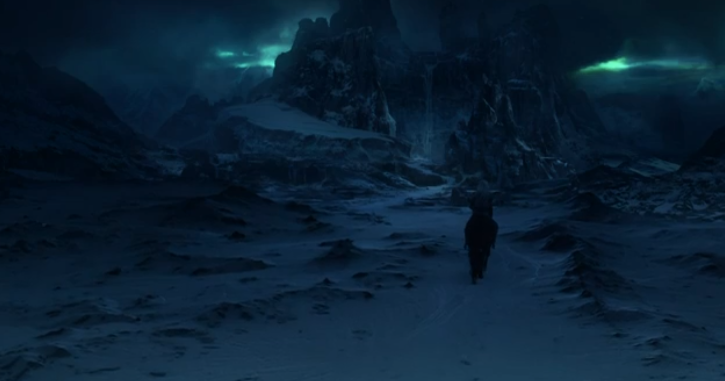 How awesome was it to see Tormund, Wun Wun the Giant, and the rest of the Wildlings raid through the Wall’s gate and reclaim power over Ser Alliser and the other traitors of the Night’s Watch? After Wun Wun literally decimated one of the brothers, the others lay down their weapons, before Dolorous Edd threw them in the cells to be held as prisoners. 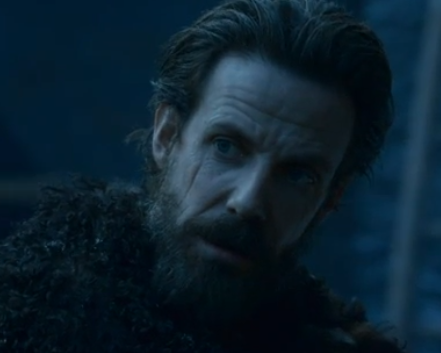 First off, props to Dolorous Edd for rounding up Tormund and the others to save the day, and second, nice to see that honor has not been lost as he chooses to throw them in the cells rather than condemn them to execution. Later in the episode, we see Melisandre, back in her younger form, but continuing to have lost all faith. She tells Davos that everything she believed all along was a lie. But Davos feels differently and even though he is not a pious man and does believe in any of the gods, one thing was for sure: Melisandre had convinced him that miracles were real. And with that, she was willing to give a shot at bringing Jon Snow back to life. What was great about this exchange, and is a common thread to the Thrones story, is the continual shifting of relationships between characters. One minute two characters are juxtaposed as complete opposites or enemies, and the next they are finding that they actually need each other (i.e. Sansa/Theon is another current example of this). And just like that, we had to endure the most anxiety-provoking few minutes that I can recall, as we wait to see if Jon Snow’s eyes are going to open. One by one, Tormund, then Melisandre, then Davos each leave the room, as her magic appears to have been unsuccessful. For a second, I actually thought that maybe, just maybe, Thrones was going to do what it always does — surprise the crap out of us — and not bring Snow back! And then, it happened, his eyes opened, he took in a gasp of air, and the episode came to a close. But before that happened, let’s also consider the focus that was put on Ghost. As Jon Snow lay dead on the table, Ghost appeared in some sort of deep sleep or trance. 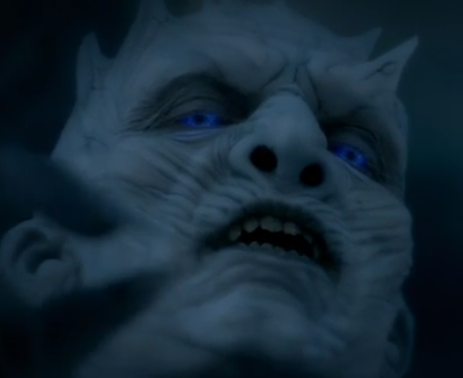 And just seconds before Jon Snow comes back to life, Ghost comes back to consciousness. This could just be symbolic of the human/direwolf connection that exists between Jon and Ghost, as existed between most of the Stark children and their wolves. Or, it could mean more, that maybe Jon also has some sort of warg or skin-shifting capabilities, and perhaps had been living in Ghost’s consciousness. Elsewhere in the North, Walda Frey gave birth to Roose Bolton’s son, making him the rightful heir to Winterfell. Naturally, this did not sit well with Ramsay, and he ruthlessly murdered his father, making Ramsay the new Lord of Winterfell. Of course, he had probably been planning this for some time. As if that wasn’t enough, the sadistic Ramsay had to kill Walda and her new baby (his new brother), and in the most brutal fashion possible — letting the dogs rip them to shreds. 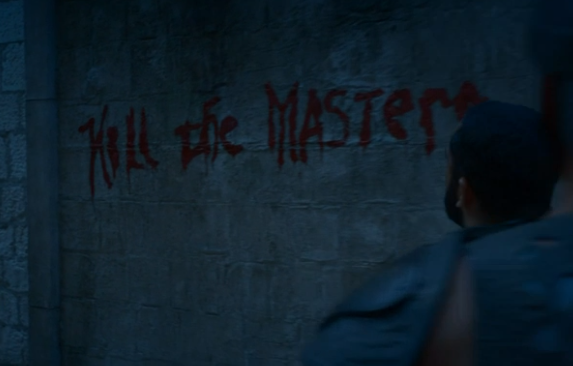 Ramsay’s sick and twisted actions continue to know no bounds, and with the killing of his own father, Ramsay has emerged as the ultimate villain. 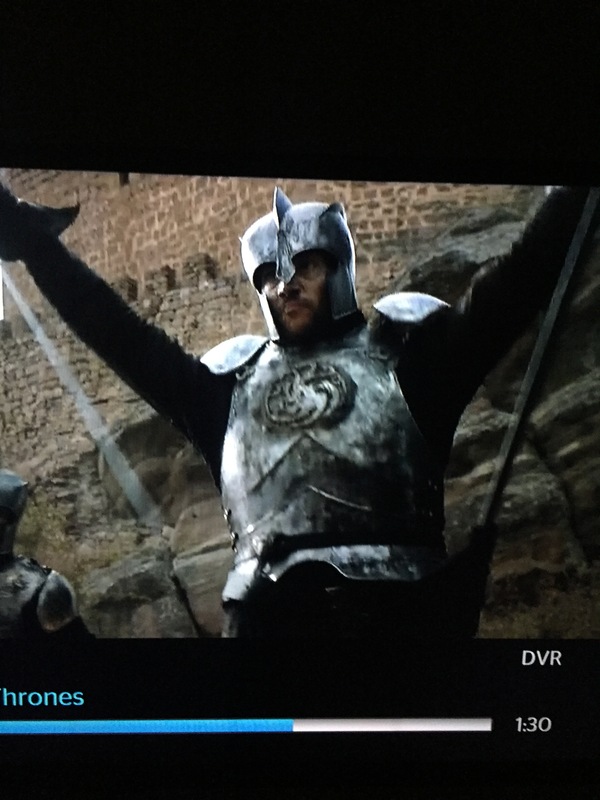 There is nothing he won’t do in his quest for power, and he now has the support of House Karstark, after Robb Stark executed Rickard Karstark for murdering the Lannister children (as revenge for Jaime murdering Rickard’s son). We see Robb’s actions all the way back from Season 2 coming back into play, as the Karstarks are one of the most powerful Northern houses, and they are now backing Ramsay. House Umber is the next most powerful house, and it will be interesting to see where their allegiance lies, though Ramsay mentioned that he has won their support. Now that Sansa is safe with Brienne and Pod, Theon tells her that he will return home to the Iron Islands. As he continues to gain back more and more of his Theon identity, he cannot bare the guilt for the actions he has taken against the Starks, and he tells Sansa that he would’ve died protecting her in her quest to get to the Wall. But now that she’s safe, he feels that returning home to the Iron Islands is his only choice, since he does not want to be forgiven. What is most striking to me is how quickly and willingly Sansa has been willing to forgive Theon. After all, he was single-handedly responsible for betraying the Starks, laying siege to Winterfell, killing two innocent boys and pretending they were Bran/Rickon and also killing the beloved Maestar Lewin. At the time, we hated him perhaps more than we even hated Joffrey. But the moment he came to Sansa’s rescue and helped her escape, she was able to look past all of that and forgive him — so much so that they continue to hug each other in warm embraces. Kind of shocking that she is able to show so much emotion towards the person that wronged her family so greatly. Separately, in speaking with Brienne, Sansa learns that Arya is in fact alive; she now knows that Arya, Bran and Rickon are all alive. So, Theon is going to embark upon a journey back home, which takes us back to the Iron Islands. Pyke to be more precise, which is the seat of House Greyjoy, from which Balon rules over the Iron Islands. It was nice to see the Iron Islands again after so long away, the massive towers of Pyke constructed along the thunderous wrath of the sea. Picking back up where we left off, Yara Greyjoy is arguing with her father Balon, after they just lost control over the last mainland stronghold that they possessed, Deepwood Motte. Without control over that castle, the Greyjoys are confined to the Iron Islands and do not have a base on the mainland that they can use to capture more land. 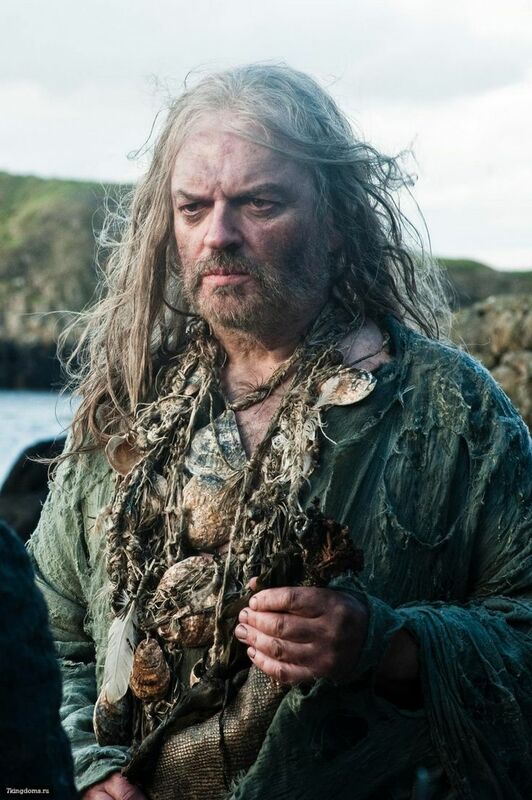 Wisely, Yara suggests that the Greyjoys can defeat anybody at sea, but her father Balon is old and stubborn and has always been intent on growing his mainland footprint, no matter what the cost. But what he wants becomes irrelevant, and we meet his brother, Euron Greyjoy, who murders him and throws him off the roped bridge. As they send Balon’s body out to the ocean, Yara swears revenge for whoever was responsible for the death of her father, and notes that she will rule over the Iron Islands. However, her other uncle (and Balon’s other brother), Aeron (otherwise know as Damphair), tells her that there must be a kingsmoot, which is an ancient ceremony where the captains of the Iron Islands vote on who the next ruler will be. The takeaway here is that power over the Iron Islands is now up for grabs, with different players vying for the power position. Considering the context that the Iron Islands are one of the Seven Kingdoms, the decision of who the next ruler will be is a very important one. On a totally separate note, there is another interesting thought about Balon’s death. If you recall, he was one of the kings fighting for the Throne during the War of the Five Kings (the other 4 being Renly, Robb, Joffrey and Stannis). First, it is interesting to consider that ALL 5 of these “kings” are now dead. This reinforces the idea that this show was never actually about the war for the Iron Throne, even though that was the storyline that dominated the first few seasons. That was always just a smaller game being played, with much larger games on the horizon. But more significantly, it is also interesting to consider the episode in which Balon died — the same episode in which Melisandre’s magic resurfaced, and perhaps the last episode we’ll ever see Melisandre. Seasons ago, back at Dragonstone, it was Melisandre who used Gendry’s king’s blood to prey for the death of the other four false kings, referring to them all as “usurpers.” As she threw the bloody leeches into the fire, she cast down Robb, Renly, Balon and Joffrey — all the kings that were not Stannis. One by one, they all fell, and seasons later, Balon marks the death of the final king. It is interesting that the final king she cast down died in the very same episode that her magic returned to bring Jon Snow back to life. 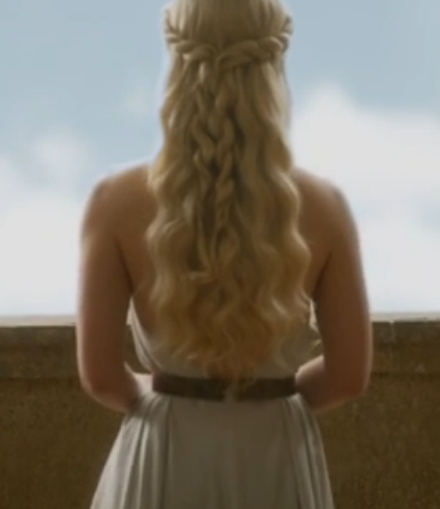 For some time now, it appeared very unclear where the lines of power were drawn in King’s Landing. 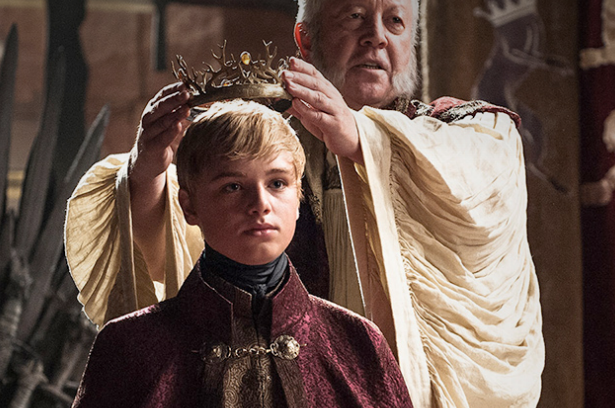 Did Tommen really control the king’s army? If so, why hadn’t he stepped in to free his mother and wife (Cercei and Margaery) from the cells of the High Sparrow? How much power did the High Sparrow actually have? What did the High Sparrow actually want? But, after this most recent episode, the lines became a lot more clear, and we start to better understand how things might play out in King’s Landing. Jaime is now back and has already professed in episode 1 that he plans to take back everything that he and Cercei have lost. He convinces Tommen that he must go to see his mother, and in doing so, Tommen confesses that he has been a weak king and asks his mother for help. 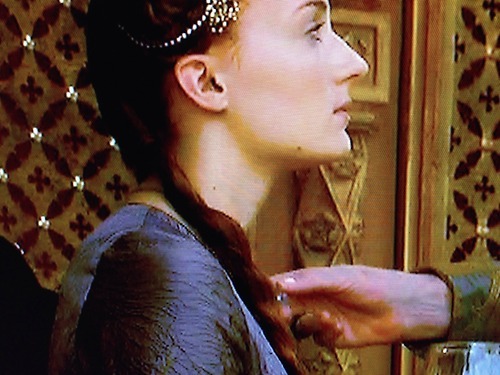 No doubt, that was music to Cercei’s ears, as she finally has Tommen right where she wants him — under her control. And by extension, she will also have control over the king’s army, which she will surely need for the impending battles that she’ll have to fight. She also has the freakish Mountain, who we see get his first kill after he smashes a man’s head like a peanut. With Jaime and Cercei back together, Tommen under the control, and the king’s army/the Mountain at their backs, they are starting to strengthen their position. In Mereen, Khaleesi’s council gathers and Tyrion suggests that they must free the two captive dragons in order to ensure their health. Certainly, he has never had experience with dragons, but he already begins to show the value he brings to the table — his knowledge and cunning. But let’s not forget about his bravery; Tyrion is willing to go face to face with two giant flesh-eating dragons (who have not eaten in days) in order to set them free. This is not the first time that we’ve seen Tyrion use his cunning to devise a gameplan, and also his bravery in willing to be the one to risk his life to execute that plan (the other time being the Battle of Blackwater Bay). Tyrion is a big talker, but he backs it up when it counts, and you must respect him for this (among other things). 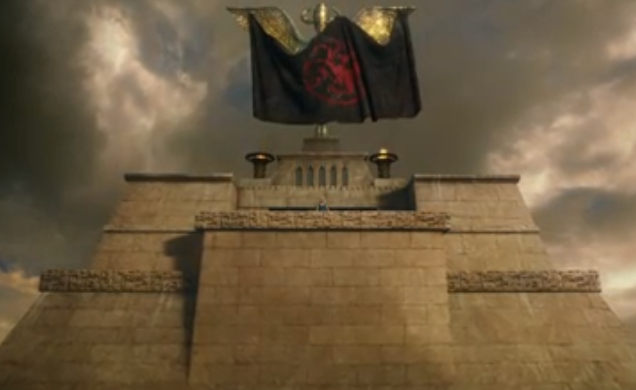 Elsewhere in Easteros, Arya may have finally become nobody in Braavos. After begging on the streets and suffering with her blindness, Jaqen (who is really nobody, wearing Jaqen’s face), tempts Arya with food and shelter if she will say her name, but she insists that she is nobody. 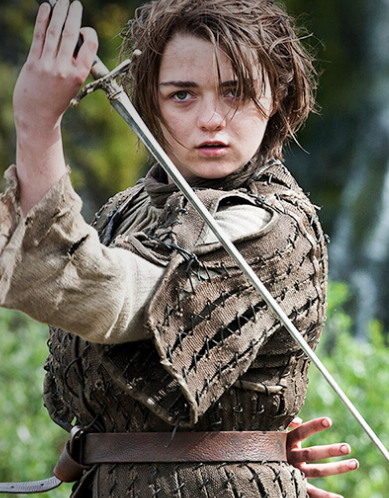 Finally, Arya if offered her vision back, if she will state her name, and even to this, she insists she is nobody. Willing to trade her vision to become nobody, it appears that Arya is finally ready to abandon her identity and join the Faceless Men. Things should start heating up for Arya in Braavos.